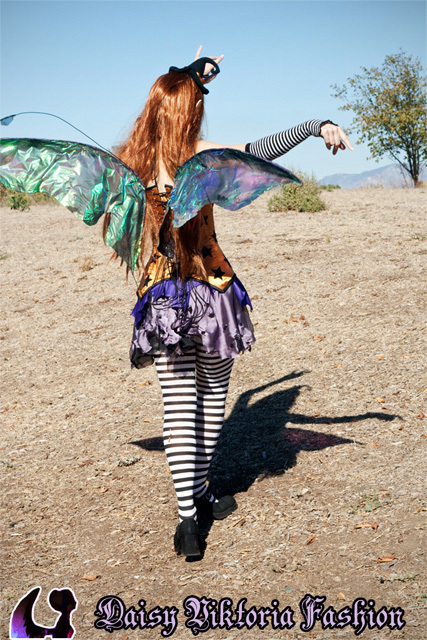 This witchy Halloween faerie costume was based on Amy Brown’s fantasy artwork. The corset and dress worn underneath are both custom colors of styles I have available in my shop. The tiny witch hat and bat necklace were made to match some of Amy Brown’s Halloween faerie artwork. The wings are also handmade by me.